Exchanging commemorative notes, taking photos of the notes and publishing them online before they are issued were cited as violations by the People's Bank of China (PBC) on Friday. 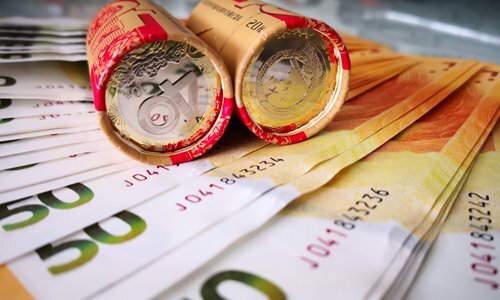 The country's central bank was set to issue 50-yuan bank notes on December 28 to commemorate the 70th anniversary of the launch of China's renminbi currency. Some bank employees had taken photos and videos of these notes before the issuance date, and some uploaded them on the internet on December 24, attracting much attention, according to a statement released by the PBC. Some netizens said those banknotes were exchanged in advance. Some photos were taken in warehouses and some were taken during the process of checking banknote quality, which all violated regulations and led to public misunderstanding. The suspected employees are from the Big Four - the four State-owned commercial banks in the country. Employees of ten branches of ICBC in different cities such as Shenyang, Northeast China's Liaoning Province, and Siping, Northeast China's Jilin Province were identified as staff members who broke the rules. The commemorative banknotes are 150 millimeters long and 70 millimeters wide, and a total of 120 million notes would be printed, the Xinhua News Agency reported in November 2018.